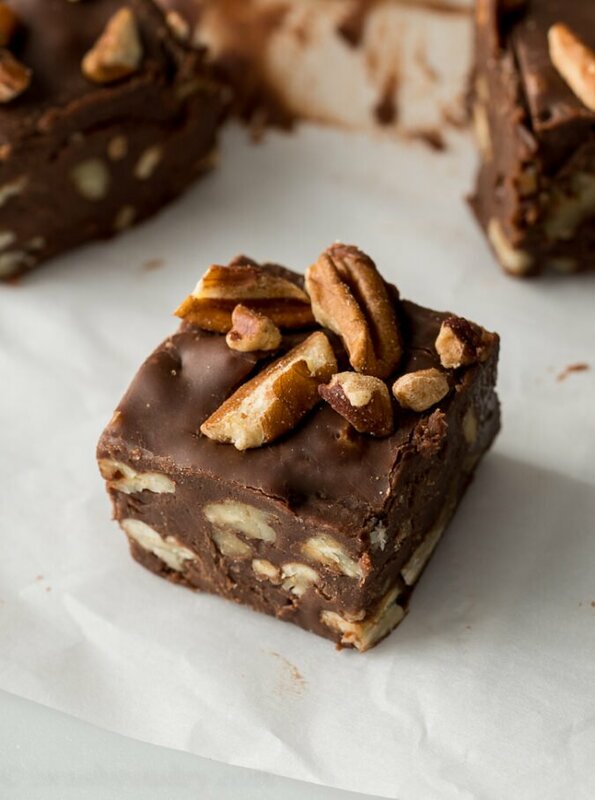 This Last Minute Chocolate Fudge Recipe quickly comes together in just minutes and is perfectly sweet and also customizable! It’s that time of year again! The time when we pull out our rubber spatulas and baking supplies to whip up some delicious treats for friends and neighbors. 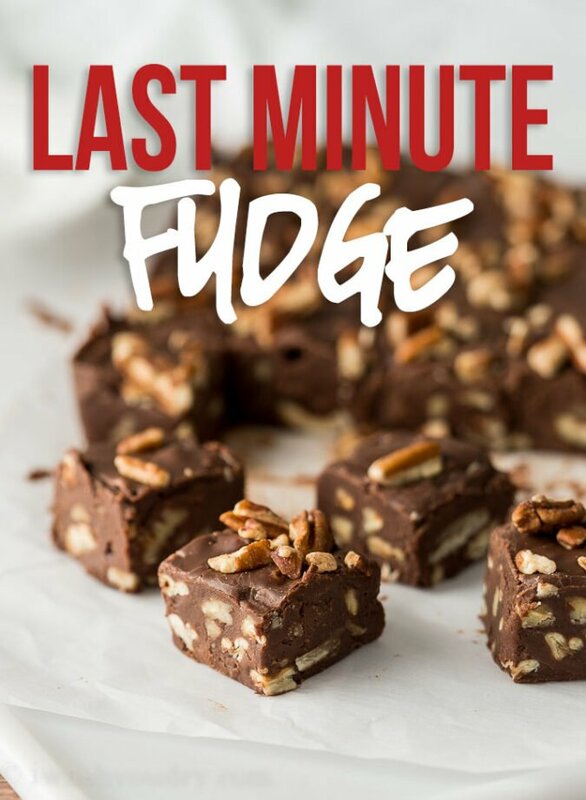 This year I’m sharing my favorite super easy Fudge Recipe that comes together in just minutes! 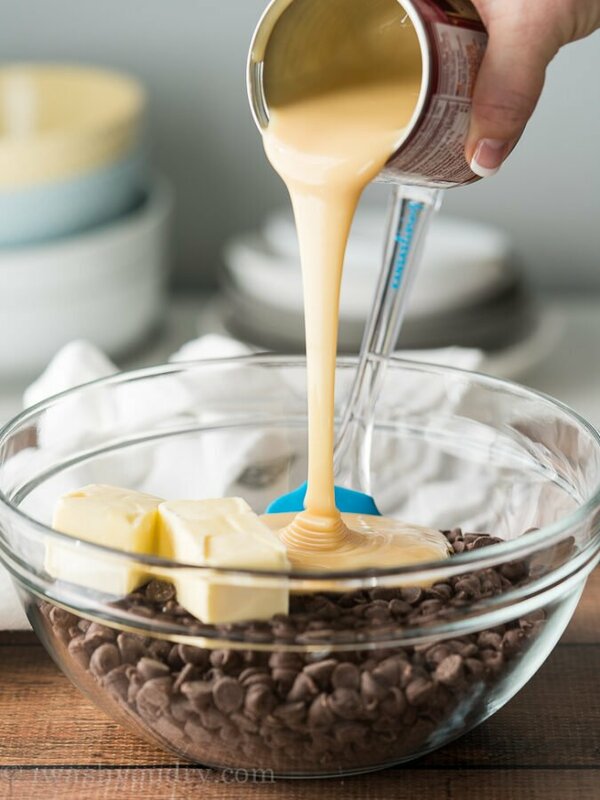 Start by combining some chocolate chips, sweetened condensed milk and butter in a large microwave safe dish. Microwave in 1 minute bursts, stirring after each time, until the mixture is smooth and creamy. Stir in some vanilla extract and, if desired, some chopped nuts! Yes, this recipe is quickly made in the microwave, but you don’t have to use the microwave if you’re not a fan. 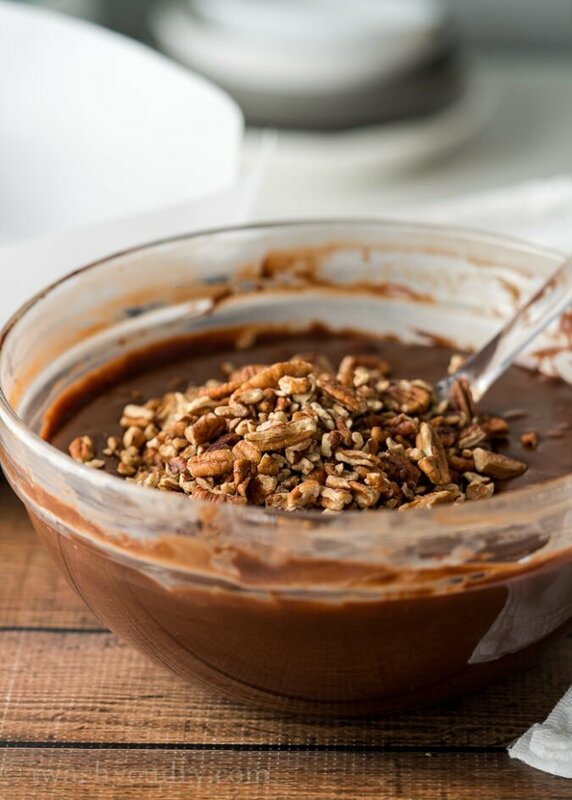 Simply combine the chocolate, sweetened condensed milk and butter in a glass bowl and place on top of a pot of boiling water. Melt the mixture and proceed with the remaining instructions. In the microwave it took me about 4 bursts of 1 minute cooking time to get the mixture nice and smooth. Try to not over cook the chocolate as this will cause it to have a bad taste and texture. When in doubt, just keep stirring and the residual heat will eventually melt the chocolate. 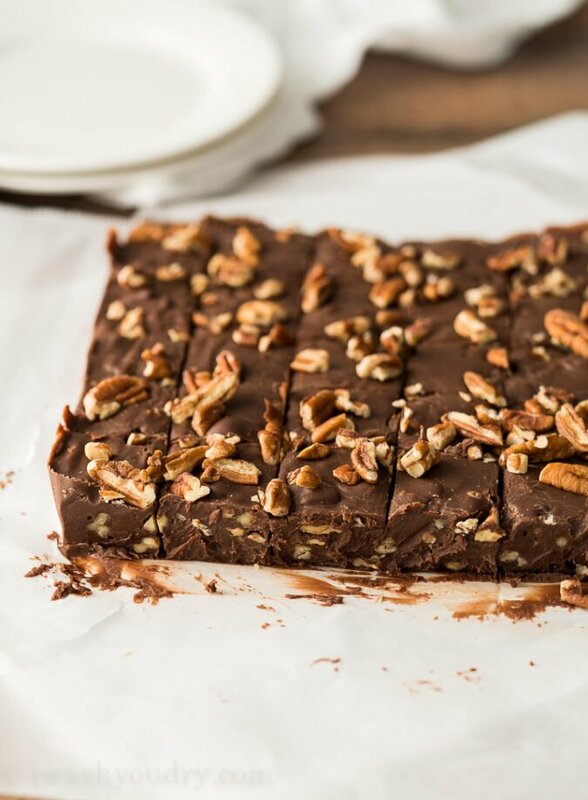 Are you a fan of nuts in your chocolate fudge? I am! 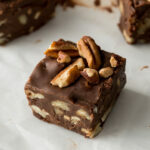 I love the sweet and nutty combination, but if you’re not a fan, just leave them out for a simple and delicious chocolate fudge. Instead of adding pecans, try using walnuts or peanuts! Swirl some peanut butter into the top of the fudge before it sets for a chocolate peanut butter flavor! Swap out the vanilla extract for peppermint extract and add crushed candy canes on top! Toss in your favorite candy like M&M’s or Reese’s Pieces for a fun flavor combo! 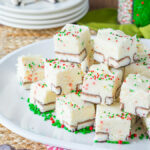 Try this White Chocolate Peppermint Pattie Fudge for a fun and festive variation! 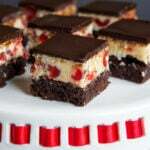 Pour the prepared fudge into a parchment lined baking pan and pop in the fridge to set. I found that this fudge has it’s best texture when it’s stored in the fridge, and becomes a little on the softer side when it’s left on counter. I think you’re going to be blown away by how quick and easy this delicious treat is! It’s pretty rich, so make sure to cut the squares on the smaller side. 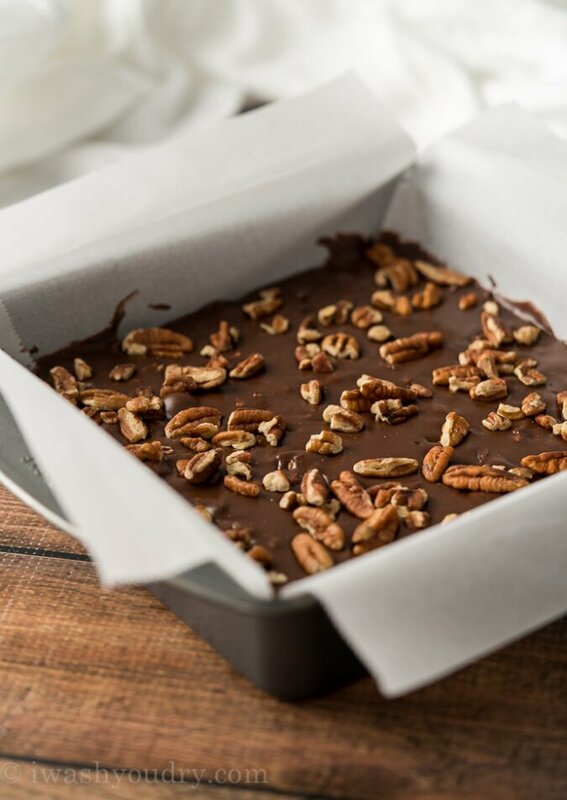 Line a 9×13″ baking pan with parchment paper so it comes up the sides of the pan, making it easy to remove the fudge. Set aside. 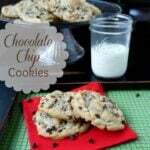 Combine the chocolate chips, sweetened condensed milk and butter in a large microwavable safe dish. Microwave in 1 minute bursts, stirring after each time, until mixture is smooth and creamy. (It takes me about 4 minutes to get the mixture smooth in a small 700 watt microwave). Stir in the vanilla and 1 cup of nuts (if desired). Pour the mixture into the prepared pan and spread into an even thickness. Top with the remaining nuts. I’ve been making this fudge sense 1988.My children and grandchildren ask for this yummy fudge quite often. Awesome! So neat to hear! Shawn, I’m a graduate from the Culinary Institute of America and have been a restaurant consultant for the last 20 years. The classic recipes that I lwas taught in school will always have a place in my life but sometimes life doesn’t leave the average person with enough time to prepare such recipes. My sister shared your site with me and so far, I’ve made your chicken eggrolls and your last minute fudge (with very minimal modifications). Boyh were excellent! I’ve never subscribed to a “home chef” blog before but I really like your style and I’m looking forward to trying more of your recipes! Thank you!! Wow, that’s a great compliment! Thanks so much for trying my recipes! I hope you enjoy many more!